I'm trying to rearrange some stuff to get out and support the revolution - death to pants! that's great I love those guys stunts. Keep us posted. I know the gumbo limbos won't be wearing any pants that day. Brilliant! 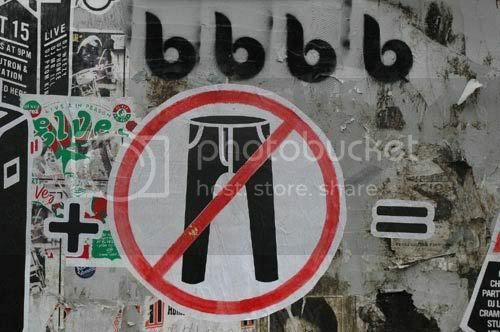 Fight against the trouser tyranny! So, were you able to join the revolution? Way to go man! Represent! And a Proud Capitalist Pig !! This is why I love you man....Brilliant! I think a F.O.M. Lavalava day should be organized, maybe in Chicago? I love on the Newsclip they used little boxer shorts for the marker graphics on the map. Location: Swingin' from the baughs of the Gumbo Limbo. Personal Statement: It wasn't Bohemian! "these pants are chafing me..."
Well done, my man! I think this would be a great painting for Nicole done up in high style. Way to go LM! Did anyone offer to pay you to put them back on (besides Nicole)? No way UT - my lack of dignity is not for sale. No pants is not just a wardrobe choice.....its a life choice. Now there's a quote that needs to be cross stitched onto a pillow! Leisure Master...Brilliant! You gotta love America, where we can get away with shenanigan's like that! SB64, I'm working on it. My evil goal it to have every FOM member without pants. Wait, did that come out right? Without pants in a Utili-lavalava, yea that's it. Down with Pants. Up with Utililavalava's! I'm going to stick with the "pants" thing. Have you been outside today? It's like that "A Pail of Air" story out there. yes is it FREEZiING up here! ( actually below freezing) We need thermo-insulated lavalavas!